The fate of a few thousand automobile dealers hangs in the balance as the Supreme Court takes up hearing in a case related to whether registration and sale of BS-III vehicles be allowed after March 31, when a higher emission standard BS-IV comes into force. As many as 900,000 BS-III vehicles, including commercial vehicles and two-wheelers, are lying as inventory with dealers. Their value is estimated at Rs 12,000 crore. The Supreme Court has admitted an intervention application from the Federation of Automobile Dealers’ Associations (FADA), which has urged the court to allow the sale of BS-III vehicles after March 31. "When the hearing comes up on Friday, we will be able to present our case. 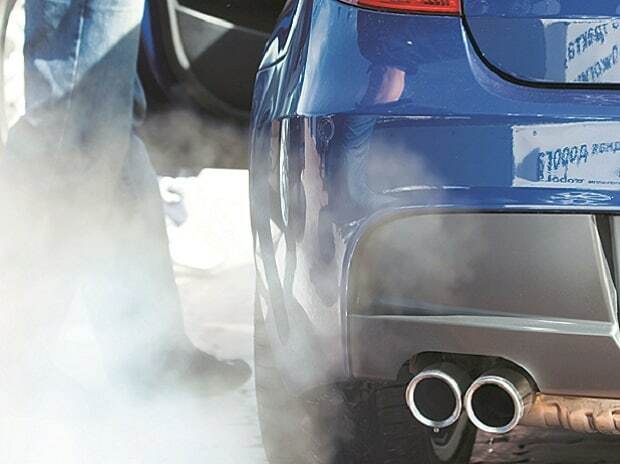 Dealers are caught in a crossfire between automobile manufacturers and the Environment Pollution Control Authority (EPCA)," said Nikunj Sanghi, director, international affairs, FADA. There are around 20,000 automobile dealerships in India. Almost all of them are carrying inventory of BS-III vehicles, especially commercial vehicle and two-wheeler dealerships. "The original notification from the government mentioned clearly that the deadline for manufacturing of BS-III vehicles was March 31. It did not mention anything about sale and registration," said Shekar Viswanathan, vice-chairman, Toyota Kirloskar Motor, which stopped making BS-III vehicles almost a year ago and now has no stock lying with dealers. He added that the if the EPCA was of the opinion that sale and registration of BS-III vehicles be stopped from April 1, the body ought to have taken up the issue long back and lobbied with the government to ensure necessary legal changes. The EPCA initiated talks with automobile manufacturers around October to start planning for inventories of BS III vehicles. Bajaj Auto has said it is in favour of stopping the sale and registration of BS-III vehicles after March 31. Having moved to BS-IV compliant two- and three-wheelers, the company feels its competitive edge is eroded because the BS-IV exercise has resulted in a price increase of Rs 1,000-7,000 across its product range. "Yamaha Motor and Suzuki Motorcycle have stopped sending BS-III compliant vehicles since February. They are sending vehicles that comply to BS-IV norms. However, there are some slow-moving units, and there is an inventory of such products," said Sukhbir Bagga, director, Group Planet Petal, which operates 32 two-wheeler dealerships in Gujarat. Sources in the industry said the BS-III vehicles would be sold with heavy discounts, but the exercise would take some time. Dealers point out there is no precedent of an automobile manufacturer taking back unsold inventory. "The company has already sold the vehicle to the dealer and has also paid excise duty on it. The situation becomes complex if the government has to refund the excise duty it collected," said a source in the Society of Indian Automobile Manufacturers (SIAM).